If you have any questions regarding our curtains and window treatments contact us for more information. Our customers have been highly satisfied with the variety, workmanship, quality and turnaround time. For more reviews be sure to check our Facebook page and look at our visitors posts found on the left side of our page under posts, there you will find many more reviews. I just want to thank you for the fantastic quality product you delivered. You were able to provide exactly what I was looking for. Everything looks great and I couldn't be happier! It was a pleasure doing business with you and the turn around time is great! We hung our valances today and wanted to let you know how much I love them. Love the fabric and the quality! They look great. I have nothing but good to say about such a great product. It was so easy to order on your website and the fabric sample size is fantastic! Couldn't be happier with your product. Love, love, love the valances! I have already given your website to several people. Not only were you wonderful to deal with and helpful....the valances are beautiful. I will definitely be back with future orders. I just can't believe the beauty and QUALITY of our bedspread and pillows. The service was unbelievable. Every time I called for samples, trying to decide what would go with our room, to the ordering process... everyone was so patient. And I couldn't believed it was delivered in a week. Never have I been so excited about service, quality and beauty of a product. I would definitely recommend them to family and friends. Love showing off my new bedspread. I've attached a couple of photos. I will certainly purchase from you again in the future when another window treatment is needed. "The roman shades look beautiful. Thought you'd like to see them. The pillow is wonderful too. Thanks so much for everything!" I googled "door panels" and FWT came up. I took a chance ordering from a company unknown to me and I'm so glad I did! I just finished putting up my beautiful new French door panels. They are remarkable! I am so impressed with the quality of workmanship. The fabric I chose, Michaelina Midnight, is lovely and of very fine quality. I will be ordering more soon to outfit every window in my home! Just wanted to say: Thank You! I wish I had more windows! Working with your website was a pleasure. Swatches were mailed at lightning speed and the valances arrived quickly as well. The quality of the fabric is exquisite as is the workmanship. Your customer service is beyond expectations and I am so proud I went with a company in the USA! I received my Juliet valance, and panels yesterday, in Bellingham Garnet. I am so happy with them, material, and workmanship is of such high quality. . .I never imagined they could turn out so beautifully. I know stripe pattern was not recommended for Juliet valance, but your talented staff knew how to make the necessary adjustments. I've waited 10 years to get living room window treatments, and I'm so glad I found your website. Browsing patterns was fun, and your excellent customer service advised me when I was ready to order. Thank you so much! Thanks for all your help. You absolutely surpassed my expectations. I was shocked when I came home and had an email from you regarding my order being shipped after only placing it 2 days prior. I call that service! Everything is beautiful...thank you thank you thank you! Thanks for everything, especially for making them so quickly. We just put up the curtains and they are beautiful and a perfect fit! They are amazing. Thank you so much. I am going to redo my bedroom in the fall and am going to order from you! I am one happy customer!!! Thank you!! Lana T. in Calgary, Can. We love our new drapes, they were made very well!!!! The bed skirt arrived today and it's beautiful. I'm very pleased with the quality of materials and professional craftsmanship. Thank you for the quick turn around. My kitchen and breakfast nook look wonderful. I will definitely be ordering more soon. I plan on getting to all my rooms eventually. Thanks for everything. The comforter you made for me is absolutely beautiful!! As soon as it arrived I took it from the box and placed it on the bed. I loved the fabric I sent to you and am so pleased with the finished product. I have sewn for 40 years and the quality of workmanship deserves an A+. Thank you again!! Hello, I received the french door curtains today and they are hanging up already. Your delivery was the most prompt of anything that I ever bought on the internet. I love the curtains... :-). Thank you very much! I received my bedding and it is beautiful. The workmanship is great. Thank you for getting it back to me so quickly. I can't wait to change my bedroom. I will be in touch, as I have other items I will need. Again, it has been a pleasure working with you. I didn't see a place on your website to write a review but I wanted to say THANK YOU for my beautiful Abigail valance. It's the perfect finishing touch I was looking for. Your craftsmanship is impeccable and your turn around time is amazing. I ordered swatches ahead of time and I was extremely pleased with the size of your swatches. It gave me a better picture of what the overall pattern would look like. I also want to say thank you to the young lady I spoke to over the phone who assisted me in picking a contrasting fabric. I have more projects coming up and I plan to seek your site for all my drapery needs. Thank you again! Thank you and please thank production for my recent order for Cambridge swags and Cambridge valances. They were installed yesterday at the Country Club, in a large dining room and sunroom area that needed something nice but casual to finish and tie together both areas after a recent renovation. They were working with a very tight budget, and after several go-arounds, we were able to come up with the valances from Fashion Window Treatments. The manager was so pleased it was the finishing touch for the opening of the club this weekend. Anna and I have been continuously pleased with the quality of your products and consistent ship time. Thanks again for all of your efforts. Your workmanship and customer service deserve a "5 Star" rating! I placed my order late Monday for a custom box pleated valance and panels to match and received my order on Friday of the same week.....that is almost unbelievable! I am flabbergasted, not only was the service so quick, but the quality of the fabric and finished product is excellent. I am so pleased, I will recommend FWT to family and friends. Also, a big "thank you" to Kelli in Customer Service for being so courteous and helpful in answering my many questions. I just wanted to drop you a line to let you know how very pleased we are with your products. My husband was skeptical about ordering window treatments online. I was desperate because I had not been able to find anything I liked. Your website was very easy to use and the fabric samples made choosing colors simple right in the rooms where we needed them. 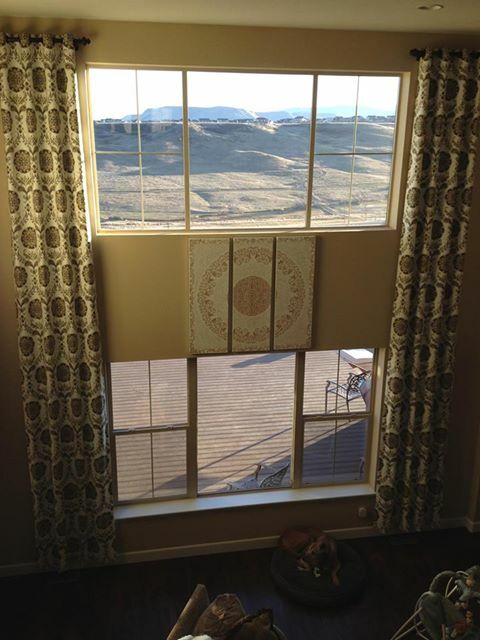 We were amazed at how quickly the window treatments arrived after we ordered and extremely happy with the final product. Thank you so very much for helping us complete our home project. We will not hesitate to use you again and also recommend your company to our friends and family. The drapes are FABULOUS! We could not imagine them being better. It all turned out perfect. Very satisfied customers. Thanks for your help and fast service. Items arrived within a week and as you can see look great. Very pleased with the service and quality. My order arrived yesterday, and I am thrilled!!! 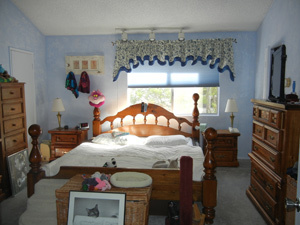 The valances are more than gorgeous, and they are absolutely perfect in my bedroom!!! I ordered on a Monday, and my order arrived in exactly 1 week!! Thank you so much!! I am so glad that I found you!! You guys are the BEST!!! We hung our new valance last night and it is perfect! I am so pleased with the workmanship. It was great being able to choose my style and fabric. Your site is also very quick to deliver! I will keep your site in my favorites. My valances were sent out in just 3 days and I was amazed at the quality. They were exactly what I wanted and the quality was better than I expected. Very Very Nice! Thank you! I received my curtain order on Thursday (6/7/12) as promised. They fit great. They look great. Color and fabric are beautiful. And the advice you gave me about the valances was spot on. If I had done it the way I was first thinking, they would not of looked as good. Thanks so much for a job well done. Thank you so much for my beautiful new comforter, shams, pillows and curtains. Everything is absolutely perfect! Your customer service is second to none. I have spoken (or tried) to speak with several companies and was not impressed with the knowledge or willingness to assist as I received from your company (not to mention the huge free swatches you sent me). I will be redecorating my living room next, so expect a call from me soon! Katie W. in Chicago, IL. I found you guys through a Google search and it was the luckiest click of a button ever. I recently ordered a shower curtain and window valance and they are perfection. The attention to detail was amazing, and I was astounded at how quickly my order arrived at my house - less than a week from the day I ordered until the day they were hanging in my bathroom. I am so happy I found you guys. I'm already planning my next order. So many windows, so little time...! I received my curtain order on Thursday (6/7/12) as promised. They fit great. I just wanted to say thank you for the absolutely stunning valances! They came in the mail yesterday, earlier than I expected and they are gorgeous. I redid my kitchen and the new valances are the perfect finishing touch. Thank you so much for the excellent quality and workmanship. I love them so much, I'm thinking about new ones for my family room now! We are loving our drapes and roman shade!!! I am very happy with the quality and just want to say thank you for all of your help and patience. I would not hesitate to order again from Fashion Window Treatments. I want to thank you for the lovely drapes, valance, shams and decorative pillows. The swatches arrived quickly, making the fabric selection so easy; I knew everything would look great. So pleased with my investment! I received my window treatments yesterday, got them up and am just in awe! They are amazing. Changed the whole look of the house. I was so excited I wanted to stay up all night and just look at them. What a fantastic job you did. Thanks so much. I received my shipment today and the window treatments are beautiful. Thank you for such a wonderful product and exceptional service. Karen F. in Coral Springs, FL. Thank you so much. My order arrived in less than a week after ordering. The quality of the material is great. I hung the swags and jabots yesterday and my window looks beautiful. I previously had custom made on these windows and they cost a lot of money. Fashion Window Treatments swags and jabot are equally as nice. Thanks. I received my valance yesterday and it is beautiful. My husband even commented on it. Thank you for taking good care of me and for shipping it so quickly. Received the valances the quickest I have ever received anything and they are just beautiful. I love them, love them, love them. Thanks so much. Hi, I just wanted to tell you that I hung my custom curtains today and they are beautiful. You guys did a wonderful job, and I am pleased with the order. Got the window treatments and absolutely love them!!!! Exceeded all expectations. I wanted to let you know how pleased I am with the custom valance I ordered from your company. The patterned fabric color was almost exactly what I saw on the Internet. The solid fabric has a tone-on-tone pattern that I didn't see, but it is lovely. The valance adds so much to the room. It is the perfect decorative accent. Thank you for an excellent, reasonably-priced, quality-made product that was delivered much more quickly than I expected. I will definitely come back to your store when I am ready to make changes to other window treatments in my home. I received my bedding and curtains yesterday and I couldnt be more happy! I wanted to thank everyone there for all the help you gave me. I have never had that kind of customer service before, I truly felt special because of all the time you took to answer my questions and help me choose my fabrics. My room looks terrific and I owe it all to you. Please tell your seamstresses that they did a wonderful job. Our bathroom was finished right before Christmas and we hung the valance you made. It looks beautiful and really finishes off the room with a professional look. We give your workmanship and customer service a 5-star rating. Looking forward to working with you in the future. Thanks again and Happy New Year. Thanks for all your help - so pleased to see the valance arrive so quickly! Was able to have it hung just in time for Christmas. It looks TERRIFIC - received LOTS OF COMPLEMENTS from our guests! I'll DEFINITELY use FWT again in the future! I received the curtains yesterday...just wanted to let you know they turned out better than I expected...they are amazing! We put up the swag up over the weekend that you made and it looks beautiful. What a wonderful experience we had in dealing with your Company, from ordering the large samples to the finished product. Every detail was fast & we love the Tent Flap Valances you made from our fabric selection. It was a real pleasure and will definitely use your services again and will refer you to anyone we can. Thank you, Thank you, Thank you! PS from David, From the perfect service to the proud flag on your packing list and elsewhere you are a shinning example of what American business once was and can be again. The standard has been reclaimed by FWT. Heads up corporate America. Follow FWT back to greatness!!!! Thank you so very much!!!! Hi, Our room is finally finished enough to hang the curtains and they look GREAT!!! Your customer service people guided me to have the valances made exactly the way they should be made. They came quickly and I have been dying to get to hang them. When I first hung them today they looked wrong but then I went back to your site and saw that I had hung them wrong. 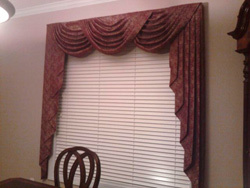 (For some reason I thought they had to be hung on the two separate rods of a dual curtain rod because the page said the valance would look best on a 1" dual rod set. When I saw how they looked on line I put all three onto the same rod and got the look I had fallen in love with on your site.) I will recommend your site to everyone I know. Thank you so much for making our new room look exactly the way we want it to look. In an age where no one seems to care about customer service you are a SHINING STAR!! I just wanted to thank you for my order. It came in a couple of weeks ago, but it's taken me most of my free evenings to hang everything. And they're absolutely beautiful. Exactly as I had envisioned. I'll be having some family and friends over in the next week to come see my prized possession. The service from your company (by email and by telephone) was excellent. The delivery was surprisingly prompt. I expected a minimum of a month. From the time I ordered to the time I received them was about 2 weeks. I will be happy to pass the word out and if I ever need further business from you (possibly kitchen curtains and bedroom drapes in the next year), I'll know exactly where to go. I know it's been awhile since I received my window treatments but I finally hung them last night because I was waiting on the curtains rods. I agree, they are absolutely gorgeous. My husband even noticed and paid me a wonderful compliment on my choice of fabric and design. "Honey, you did REAL good!". Thank you for your assistance and patience with me throughout the last few months. I really appreciate your dedication and expertise. My house is starting to look like a home thanks to the window treatments, pillows, and table accessories purchased through your company. They look like custom window treatments without the cost. I love everything! Don't think you are getting rid of me................I have several more projects/rooms to decorate so you definitely will be hearing from me soon. Thanks again and have a wonderful Thanksgiving holiday! ps. the glass beads really add pizazz! Thank you so much for your kind customer service. Hung up the window treatments last night and they look great! Very nice quality fabric and workmanship. Amazed at how fast the order was completed and shipped! Happy Holidays to all at FWT! I just want to say thank you for your help recently with my online order. I just received my petticoat valance and absolutely love it! It's exactly what I wanted and I couldn't be more pleased with it. So thank you again for your expert help and suggestions regarding my fabric choices, and I know I'll be using your site again in the near future. I just want to thank you. I received my shower and matching window curtains today. I am impressed with your quality and speed! Kelly, thank you for helping me pick the corresponding fabric for the window curtain - Perfect choice! I will definitely use you again when I redo my other bathroom next month. 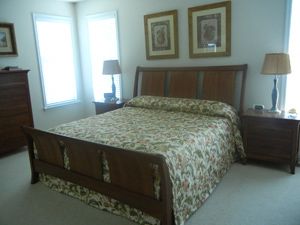 I have a king sized sleigh bed and needed a custom-made bedspread in order to fit it. FWT was very helpful to me in fabric selection and with measurements. Since it is a sleigh bed with a foot board, FWT was able to make the bedspread with split corners to allow the bedspread to fit properly at the base of the bed. I am absolutely satisfied with the quality of workmanship and the quick turnaround time. Plus, you can't beat the fact the it was made in the good old USA! I highly recommend FWT to anyone who is looking for custom made window treatments, comforters, bedspreads etc. Hi! I received my valance from you and I want to thank you for your fabulous service. The valance is even better than I imagined. As a seamstress myself, I appreciate your fine workmanship and attention to detail. Your sales rep on the phone was friendly, professional, and knowledgeable, and provided me with some great suggestions. 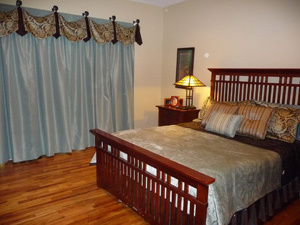 As you can see from the attached photo, the valance really completes our newly redecorated bedroom. I just received my order today. I couldn't be happier or more pleased. The runner and valances are just perfect. The fabric is just perfect for my new kitchen. I will definitely recommend your company to all my clients, friends, and family. The promptness of receiving my order was great too! Thank-You! Great Product! I would like to say thank you. My order arrived today, and I am thrilled with my window valance. The quality and workmanship is outstanding. I will recommend FWT to my friends and family. Just a quick note to thank you for my new kitchen valances. I can't believe how quickly I received them! I shipped the fabric to you on a Monday and I had the finished valances by Friday of the same week! Talk about fast service. The quality is remarkable. I will be in touch soon - as soon as I figure out what to do with my living room windows! I received my new pillows today. Please pass along how lovely they are and I thank you for having this service. My bedding and window treatments arrived the other day and I just had to write to let you know how extremely pleased I am. The quality is outstanding and everything coordinates so well together my room looks like it belongs in a magazine. I am going to have to sleep in the spare room now! I installed the valances over the weekend and they look great! I'll definitely be coming back to you for more window treatments in the future. I ordered and just received the cameo style valance. I wanted to let you know that it is beautiful. Your company has been remarkable (especially Kelly). I cannot believe the quality of this item and how quickly you made it. Thank you. Thank you so much for all your help. When I first started out wanting to redecorate my home I was overwhelmed. I did not know where to start and was almost at the point of hiring a decorator. Your employee, Kelly was a huge help in giving me suggestions for coordinating fabrics and treatment styles. My living room and kitchen look absolutely wonderful! I am so delighted with the quality of the products and the quick service. And I can't believe that everything was shipped in a week! I just wanted to let you know that I absolutely love the window treatments. They are beautiful and add so much to our home. Thank you for all of your help. I was certainly impressed with the speedy delivery of my gorgeous new box valances. 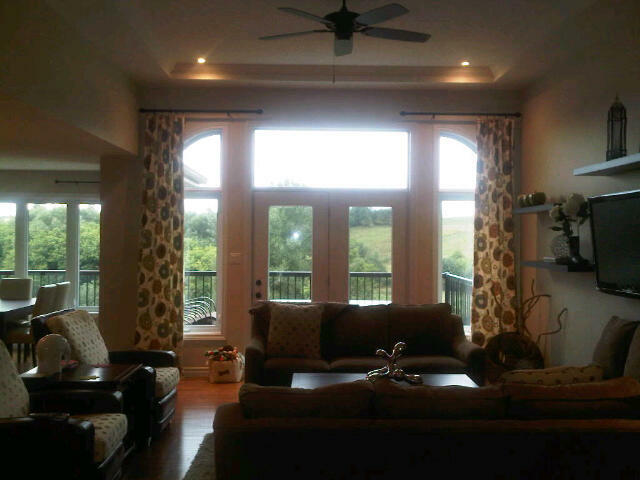 I will refer family and friends who are in the market for window treatments. You are awesome! I just wanted you to know that we got the curtains hung last night and they look terrific! The workmanship is top-notch and the prices are very attractive (I am still recovering from my last "designer's" custom-made curtain high prices and poor quality - - the curtains weren't lined!) . I have been spreading your site around to everyone. Please don't change - - I just bought a new home and have the entire house to do! What a pleasure it has been working with FWT! The customer service is great; fabrics are top quality and a huge selection; workmanship is superb. I have done four rooms and used the Salem valance, Nottingham with jabots and Sherwood with jabots. They are all beautiful and I received them so quickly! I am happily recommending this company to friends and family. I am compelled to express my gratitude and thanks for your excellent work. You caught my error. I would have been very disappointed and found it difficult, if not impossible, justifying a duplicate order (to my husband). You went way above and beyond the "norm" and I am extremely appreciative. I received the pillows I ordered last week and they are absolutely beautiful! I plan on ordering several more from your company this weekend. The craftsmanship and construction were wonderful. Thank you. Thank you for the excellent service and most importantly the excellence in quality of fabric and workmanship. I'll recommend FWT to all my friends. I received my order and I am very happy with the Rod Sleeve Toppers and the Runner. I will keep your company in mind the next time that I or a friend is in the market for curtains and such. I just wanted you to know how pleased I am with my first order. The overlay swags are beautiful! I was very impressed with the workmanship and the application of the trim. And I have to say, that I received my order in an astonishingly short time! I look forward to a long, happy working relationship with you. Keep up the good work! I just wanted to let you know how much I love my new swags and jabots! They really complete my room. I can't believe how quickly I received them! Thank you so much for all your help. I received my order and the instruction sheet I have them up and love them, they look really good. Again, thanks and I hope to order more for my bay window soon. Thank you sooooo much. I ordered the valances for our bedroom a few months ago and in the interim I broke my wrist, but we finally got them hung and they are perfect. Thanks for all your help. I just got my new shower curtain in Michaelina Midnight, and it's absolutely beautiful! I can't wait to hang it up! Not only was the turnaround time super fast, it's made here in the good old USA! Gotta love that! I LOVE the curtains -- they are tremendous and I will absolutely tell all my friends about the quality and timeliness...a wonderful experience! thank you! I wanted to let you know that I am so pleased with my new valances. I have hated what I had up for the last ten years and to see my new window treatments really makes me smile! Thank you so much, they are just what I ordered! I wanted to let you know how pleased I am with my order. I was amazed at how quickly I received everything and want you to know how beautiful the curtains look. I am very very pleased with the quality and exceptional service I received. Thanks so much again. It was such a pleasure to do business with you. Just a quick note to thank you for your expertise and time in creating the beautiful treatments. We hung the cornices and curtains this weekend. They are beautiful, especially the cornices! Nicer than I even anticipated. I appreciate the concerns about the width of the cornices. As it turned out I am so glad that we added the extra inches. I needed them! Wow! I received my window treatments and pillow today and cant begin to tell you how impressed I am with the exceptional quality, especially for the amount of money paid. Its not very often you find a value these days! I will definitely use your services for future decorating projects. Happy holidays to everyone!!! I love your website and freedom to have window treatments made in fabrics I got to choose. I am not a seamstress by any means and I was thrilled when I found your website and the flexibility it gave me. My living room looks great! I can't wait to get my new batch of swatches so I can start on the bedroom! Thank you for emailing. I have been out of town for more than a week, but wanted to say thank you. The dust ruffle arrived safely and is beautiful (and fits great)! Best wishes and thanks for all your help. Your customer service and quality of products will keep me coming back. My new drapes and pillows are stunning and gave my room a much needed "make over". The fabrics are wonderful and I received everything so fast. Thanks. Wow! You are fast! Everything looks beautiful. I can't wait to have my friends over so that I can show off my new decor. I will recommend you to all my friends. What a difference quality makes. You can't get this kind of quality off the shelf at any store. My living room definitely looks like I had an interior decorator come in. I love everything. You all are the best! I wanted to let you know I received my order the other day and everything looks great. Thank you so much for all your help. I am so pleased! First let me thank you for all the help you gave me deciding on coordinating fabrics. My valances look great and the tassel fringe is wonderful. Everything was shipped so fast just like you said it would be. I will recommend you to everyone I know. My shower curtain and valance look great in my bathroom. I am quite tickled that I found you on the web and that you could make the shower curtain in the size I needed. Thanks and take care. Thanks for all your help. Your customer service is top notch and my new drapes look beautiful. I couldn't be happier. Great workmanship and very fast service. My mother in law will be placing an order with you soon! Thanks again.